Draft: 1999, Toronto Blue Jays, 1st rd. Alexis Israel Rios…wife's name is Carla…has two children: Alex and Alessandra… graduated from San Pedro Martin High School in Guaynabo, Puerto Rico in 1999. Alex signed a one-year free-agent contract on December 19, with a mutual option for the 2016 season...Spent the 2014 season with Texas, his only full season with the Rangers…Tied for fourth in the American League in triples, while his .280 average ranked second among qualifying players on his club...Got off to a hot start, leading the A.L. with a .335 batting average (84-for-251) through the games on June 10…But hit .224 (54-for-241) over his final 66 games...Selected as Rangers' Player of the Month in May, batting .312 (34-for-109) with five doubles, five triples, two homers and 17 RBI…Included a season-best 12-game hitting streak from May 17-29...Became the fastest player in Rangers history to reach eight triples (64 games), besting the previous mark by Ruben Sierra (72 team games) in 1989...Collected at least 30 doubles for a third-straight season…Since the start of 2012, his 100 doubles are tied for 11th-most in the A.L...Did not play after September 4 due to an infection on a bruise on his right thumb. Batted .280 (52-186) with 11 doubles, 2 triples, 6 home runs, 26 RBI, 26 runs scored, and 16 stolen bases in 47 games with Texas…from Aug. 10, the date he joined the team, through the end of the season, led all Rangers in extra-base hits (19), slugging pct. (.457), and stolen bases and ranked among Texas leaders in hits (T2nd), home runs (2nd), RBI (2nd), runs scored (T2nd), and doubles (T1st)… started all 47 games in right after joining the team. Established career highs in batting average (.304), home runs (25) and RBIs (91) and matched his career highs with eight triples (also 2008) and a .516 slugging percentage (also 2006) ... was the White Sox nominee for the 2012 Hank Aaron Award, which recognizes the most outstanding offensive performer in each league ... ranked among American League leaders in triples (t3rd, 8), average with RISP (6th, .348), extra-base hits (t7th, 70), hits (8th, 184), total bases (9th, 312), slugging percentage (t9th, .516) and average (11th, .304) ... was the only player in the AL and one of two in baseball (also Ryan Braun) to hit .300 with at least 30 doubles, 25 home runs, 90 RBIs, 20 stolen bases and 300 total bases ... joined Magglio Ordonez (2001) as the only White Sox players to reach those marks in a season ... also joined Ray Durham and Ordonez (both in 2001) as the only players in team history to record 30-plus doubles, 20-plus home runs and 20-plus stolen bases in a season ... became the first player in White Sox history with multiple seasons of 20 homers and 20 steals ... ranked among AL outfield leaders in hits (3rd), average (4th), slugging percentage (4th), runs scored (t6th, 93), RBIs (7th), oPS (7th, .850), doubles (t7th, 37) and home runs (t10th) ... also led the White Sox in average, hits, doubles, triples, runs scored, extra-base hits and multihit games (56) ... was successful on 79.3 percent (23-29) of his stolen base attempts ... batted .471 (32-68) with RISP/less than two outs, the second-best mark in baseball behind St. Louis' Allen Craig (.492) ... hit .324 (99-306) with 16 homers and 56 RBIs at U.S. Cellular Field, compared to .284 (85-299) with nine and 35 on the road ... batted .318 (101-318) with 12 home runs and 49 RBIs in the first half and .289 with 13 homers and 42 RBIs after the break ... hit .300 or better in four months: .311 in April, .346 in June, .333 in July and .320 in September ... hit at least .400 against three AL clubs: .418 (28-67) vs. Minnesota, .424 (14-33) vs. Seattle and .407 (11-27) vs. Tampa Bay ... owned a .980 fielding percentage (7 E/349 TC) in his first full season in right field since 2009 ... recorded nine outfield assists, tied for the eighth-most in the AL and his most since 2008 (10) ... hit a game-winning home run in the ninth inning on 4/7 at Texas (off Joe Nathan) ... compiled an 11-game hitting streak from 4/9-23 (.415, 17-41) ... reached base safely four times on 5/8 at Cleveland, including a game-winning triple off Chris Perez in the 10th inning ... hit his second home run of the season on 5/23 vs. Minnesota, snapping a 143 at-bat homerless drought ... recorded his fourth career multihomer game on 6/15 at the Dodgers, including a game-tying shot in the eighth inning ... matched his season high with an 11-game hitting streak from 6/25-7/6, batting .457 (21-46) with three home runs and nine RBIs ... homered in consecutive games for the second time on 6/26-27 at Minnesota ... went 3-5 with two doubles, a home run, a career-high tying four RBIs and three runs scored on 7/8 vs. Toronto ... recorded his fifth career multihomer game, including his third career game-ending home run, on 8/3 vs. Los Angeles-AL ... compiled a 12-game hitting streak at U.S. Cellular Field from 8/11-9/7, going 17-46 (.370) with three homers and 10 RBIs ... connected on a game-winning homer in the sixth inning on 8/22 vs. the Yankees ... registered his sixth career multihomer game (third of 2012), including his second career grand slam, on 9/5 vs. Minnesota (career-high six RBIs) ... according to Elias, he tied the club record for most RBIs in a game in which a player accounted for all of the team's runs, joining Al Simmons (1933) and Roy Sievers (1961) ... hit a go-ahead three-run homer on 9/10 vs. Detroit and a game-winning homer (no. 24) in the seventh inning on 9/18 at Kansas City ... became the second player in White Sox history to hit 24 or more homers in a season after hitting just one in his first 150 at-bats (source: Elias) ... Larry Doby (also 24) accomplished the feat in 1956. Batted .227 (122-537) with 22 doubles, 13 home runs and 44RBI in 145 games in his second full season with the White Sox...his .227average was down from .284 in 2010, while his 13 homers were his fewestsince 2005 (10)...lowered his strikeout total from 93 to 68 and averageda career-best 8.38 plate appearance per strikeout...hit .309 (23-75) withfive homers and 11 RBI in September, all monthly bests...stole 11 basescompared to a career-high 34 in 2010...hit .287 (43-150) with three homeruns vs. left-handers and .204 (79-387) with 10 homers vs. righties...batteda career-low .171 (21-123) with runners in scoring position, .075 (4-53) withRISP and two outs and .077 (1-13) with the bases loaded...compiled a.992 (3 E/357 TC) fielding percentage in 143 games in center field (.987 in2010)...grounded into 20 double plays, tied for sixth most in the AmericanLeague...played in his 1,000th career game on 4/3 at Cleveland...endeda career-long 0-22 streak on 4/25 at New York-AL...his home run on 4/30vs. Baltimore was his first since 9/9/10 at Detroit (152 at-bats)...receivedhis third career ejection on 5/1 vs. Baltimore for arguing balls and strikes...recorded his 500th career RBI on 5/4 vs. Minnesota...matched his careerhigh with four RBI on 6/18 at Arizona (fifth time)...ended a 132 at-bathomerless streak on 8/7 at Minnesota...hit his first career grand slam andsecond career game-ending homer on 9/10 vs. Cleveland (was 0-12 withbases loaded prior to that homer)...fell a double shy of the cycle on 9/24 vs. Kansas City, going 3-4 with a triple,home run, two RBI and two runs scored...left the game on 9/25 vs. Kansas City for precautionary measuresafter running into the center-field fence while making a catch...did not play the remainder of the season. Hit .284 (161-567) with 29 doubles, 21 home runs and a careerhigh88 RBI in 147 games in his first full season with the White Sox ... alsoestablished a career high with 34 stolen bases, eighth-most in the AmericanLeague ... became the fourth player in Chicago history with 20 homeruns and 20 steals in the same season, joining Tommie Agee (1966), RayDurham (2001) and Magglio Ordonez (2001) ... his 21 homers marked thesecond-most of his career (24 in 2007) and second-most by a Sox centerfielder behind Aaron Roward in 2004 (23) ... also ranked second amongChicago center field leaders in RBI (86) and runs scored (stats as CF only)... started a career-high 141 games in center field (previous high was 59 in2008) and posted a .987 (5 E/395 TC) fielding percentage with six assists... also made two starts as designated hitter and one in left field ... alongwith Juan Pierre, became the first pair of White Sox teammates with at least30 stolen bases in a season since 1992 (Tim Raines, Lance Johnson andSteve Sax) ... led the AL with a .381 (59-155) average during the day (.248at night) ... was hit by a pitch a career-high seven times ... hit .354 (23-65)during interleague play ... made his first-ever Opening Day start in centerfield ... also hit his second career OD homer ... started in left field for thefirst time on 4/8 vs. Cleveland ... hit his first game-ending home run on 4/24vs. Seattle, a two-run shot off David Aardsma ... missed games on 5/1-2at New York-AL to return to Chicago for the birth of his son, Alex Javier ...hit safely in 12 straight games from 4/27-5/11 (.408, 20-49), one shy of hiscareer high ... scored his 500th career run on 6/6 vs. Cleveland ... recordedhis 1,000th hit on 7/15 at Minnesota ... also recorded a sacrifice fly in thefirst and second inning, the first major-league player to accomplish the featsince James Loney on 4/16/08 vs. Pittsburgh ... hit his 100th career homerun on 7/19 at Seattle ... matched his career high in hits (third time) and RBI(fourth) on 8/30 at Cleveland, going 5-6 with a double, home run and fourRBI ... matched his career high with three stolen bases on 9/5 at Boston(third time). Combined to hit .247 (144-582) with 31 doubles, 17 home runs and 71 RBI in 149 games with Toronto and Chicago...his 17 home runs tied for the second-highest total of his career (also 2006)...collected at least 30 doubles for the fourth consecutive season...tied for ninth in the American League in sacrifice flies (seven) and ranked 10th in stolen base percentage (82.8)...began the season with the Blue Jays and batted .264 (115-436) with 14 home runs and 62 RBI in 108 games...was claimed off waivers by the White Sox on 8/10 and hit .199 (29-146) with three home runs and nine RBI in 41 games...went 24-29 in stolen-base attempts, his second straight season with at least 20 steals (32 in 2008)...hit .262 (95-363) with 10 home runs and 46 RBI in the first half, compared to .224 (49-219) after the All-Star break...appeared in 110 games (109 starts) in right field and 42 games (37) in center compiled a .985 (5 E/338 TC) fielding percentage with four assists in the outfield...set a Toronto record with seven straight strikeouts from 6/3-4...struck out five times on 6/4 vs. angels, tying his own Blue Jays mark...stole nine bases in June, tied for fourth-most in the AL...tied his career high with three stolen bases on 7/23 vs. Cleveland (second time)...recorded a RBI in a career-best five straight games from 8/2-8 (nine total)...made his White Sox debut on 8/12 at Seattle...hit his first homer with Chicago on 8/19 vs. Kansas City...collected his 200th career double on 9/27 vs. Detroit...batted .318 (14-44) with two home runs and six RBI in his last 12 games...participated in the World Baseball Classic for Puerto Rico, going 5-19 (.263) with one home run and four RBI in six games. In 155 games played this season, batted.291 with 15 home runs & 79 RBI... Becomes just the 5thBlue Jay since 1990 to collect 15 home runs, 75 RBI & 30stolen bases in a single season (Mondesi-'01, Cruz Jr.-'01,Green-'98 & Alomar-'93)...Led theClub with 635 at bats, 91 runs scored, 185 hits, 293 totalbases, 47 doubles, eight triples, 79 RBI & 32 stolen bases...The 47 doubles, eight triples & 32 stolen bases all representedcareer highs...Among ALleaders, ranked 8th in hits, T-5th in doubles, T-4th in triples,9th in extra base hits (70), T-5th in multi-hit games (54), 10thin total bases & 8th in stolen bases... Ranked T-1st in the ALin the month of August with 12 doubles & ranked 4th with 25runs... After the break, led the AL in extra base hits (39), 2ndin total bases (148), T-3rd in triples (5) & T-7th in hits (82)...On Sept. 8 was named AmericanLeague Player of the Week for the 1st time in his career...Batted .414 (12-29) in six games & led the AL in extrabase hits (3-2B, 2-3B, 3-HR) & in SLG % (.966) during thatweek...On Aug. 19 had a 26-game hitstreak vs. New York snapped as he went 0-for-4... Batted.364 (39-107) with six doubles, three home runs & 16 RBIover that span... The 26-game hit streak vs. New York wasthe longest such streak since Charlie Gehringer of the Tigershad a 31-game hit streak vs. the Yankees from1935-1936... The 26-game hit streak vs. NYY by Rios hadbeen the longest active streak by a ML player vs. any oneteam...His 47 doubles were the mostby a Blue Jay in a single season since Aaron Hill hit 47 in2007... On Aug. 17 at BOS, had a 5-for-6 night with fourdoubles... Became just the 3rd player in Blue Jay history tohit a Club high four doubles in a game... Damaso Garcia hitfour doubles at NYY back on June 27, 1986 & ShannonStewart did so on July 18, 2000 vs.NYM...The five-hit gamematched his career high (2nd time, last on Aug. 8, 2005 vs.DET-10 inn)... That game in '05 vs. DET was the last time aJay had five hits in a single contest... The last time a BlueJay had at least five hits in a 9 inning contest was FrankCatalanotto's franchise high, six hits vs. CWS back on May1, 2004 in the 2nd game of aDH...His 32 stolen bases were the most by a Jay since Jose CruzJr. stole 32 in 2001... Had 23 stolen bases at the break(T-5th in AL), most by a Jay since Shannon Stewart (29 in'99)... On July 5 at LAA, stole three bases (career high) &had five for the series marking the most in a series by anyBlue Jay since Otis Nixon swiped six vs. Oakland, June 5-8,1997... Hit just four home runs prior to the all-star break...His 4th home run of the season came on June 24 vs. CIN, his1st since May 1 vs. BOS (a span of 211 plate appearances& 48 games between HR's)... Was his 1st HR at RogersCentre since Apr. 19 vs. DET... Enjoyed two multi-HRgames this season (July 26 vs. SEA & Sept. 5 vs. TB), givinghim three in his career... On Apr. 14 at BAL hit his 2nd careerpinch hit home run (previous on May 21, 2006 atCOL)... Was batting .320 (33-103) after his first 27 games ofthe season... Hit in a season high 12 straight games fromAug. 30-Sept. 11, the longest by a Jay this season... Batted.340 (22-55) over that span... Batted .331 (56-169) with 26extra base hits over last 40 games... IN THE FIELD: AmongAL outfielders ranked 3rd in outfield assists (14) & was T-4thin games played (151). Led the Club with a career high 161games, 643 at bats, 114 runs, 191 hits, 320 total bases,seven triples, 17 stolen bases and a .498 SLG... Receivedthe "Neil MacCarl" award, named after the longtime baseballwriter from the Toronto Star, representing the ClubsPlayer of the Year, a selection made by the BBWAA TorontoChapter...THE "RIGHT" WAY: As a right fielder this season,recorded 99 runs, 173 hits, 39 doubles and batted.305...The 99 runs are tied for 2nd among Blue Jay rightfielders in a single season (Shawn Green had 134 in1999)...The 173 hits, 39 doubles and .305 BA all ranked2nd by a Jay right fielder over a single season...Among ALright fielders, ranked 3rd in runs, 3rd in hits, T-3rd in doubles,2nd in triples (6), T-3rd in home runs (23), 3rd in battingaverage and 3rd in SLG (.561)...AMONG THE BEST:Ranked among the top 10 in 10 AL categories...RankedT-7th in multi-hit games (59), 7th in runs (114), T-7th in hits(191), 5th in total bases (320), T-6th in doubles (43), T-6th inextra base hits (74), T-6th in outfield assists (11), T-4th vs.LHP-BA (.345), 3rd in at bats (643) and T-3rd in gamesplayed (161)...On Apr. 13 vs. DET, hit a walk-off sacrifice flyto win the game in the 10th inning...In that same game vs.DET hit a leadoff home run (off Bonderman)...A GOODSTART: Began the season on a 11-game hit streak, recordinga hit in each of the Club's first 11 contests...It was thelongest such streak by a Blue Jay since Vernon Wells had a12-game streak to begin the 2006 season...The 11-gamehit streak (Apr. 2-14) was two shy of his career high set backin 2006 (May 3-27)..Was one of only three AL players to startthe season with a hit streak of at least 11 games (D. Youngof TB & A. Rodriguez of NYY)...LEADING OFF: Hit four leadoff home runs this season & now has nine for his career...Asthe leadoff hitter this season, batted .282 with 12 HR and 30RBI in just 58 games...The 12 home runs rank T-3rd amongAL leadoff hitters...May 19 at PHI had a career high fourwalks, most by any Jay this year...May 24 at BAL hit a 10thinning HR off D. Baez for the game winning shot...It was his1st career extra-inning HR...Two days later in Minnesota, hithis 2nd extra-inning home run, this time off Pat Neshek tobreak up a 7-7 tie in the 11th inning...The Jays would goonto win that contest by a score of 9-8 in 13 innings...OnJune 16 vs. WAS recorded his 50th career stolen base...INTHE BRONX: On July 16 at NYY, hit his 1st career home runat Yankee Stadium in his 103rd career plate appearance...102 straight plate appearances was the 3rd longeststretch among active players...Orlando Hudson was 2ndon that list at 103 plate appearances while Toby Hall leadsat 136 plate appearances without homering at Yankee Stadium...Had a hit in all 18 games vs. the Yankees this season,giving him the longest single season hitting streak vs.New York since Cleveland's Dale Mitchell went 19 straightin 1952...STAR GAZING: July 9 at AT&T park in San Francisco,finished 2nd in the Home Run Derby behind V.Guerrero...Hit 19 home runs over three rounds of the competition...Made his 2nd straight All-Star game, was a 9th inningdefensive replacement (RF) & did not have a plateappearance...July 8 vs. CLE hit a walk-off single to break ascoreless tie (2nd time to end a game in walk-off fashion thisseason)...On Aug. 29 at OAK hit a home run for the 1st timesince July 23 vs. MIN (a span of 34 games & 129 atbats)...QUITE THE HONOUR: Was named the TorontoBBWAA player of the month for May (.333, 8-HR, 14-RBI,35-hits and .619 SLG) and July (.340, 3-HR, 15-extra basehits)...Won the 2007 Fielding Bible Award for rightfield...The Fielding Bible Awards name the best overallfielder at every position in the major leagues eachseason...Rios beat out Ichiro Suzuki for the top spot. Hit a career high .302 with 17 home runs and 82RBI...Belted his first career pinch-hit HR May 21 atCOL...Hit four lead-off home runs, two short of the Blue Jayrecord (D. White)...Led the club with six triples, and 10 sacrificeflies...Had a career high 13 game hitting streak fromMay 13-27, batting .357 over that span (20-56)...June 12vs. BAL, enjoyed the 1st multi-homer game of his career...On June 14 vs. BAL, hit back-to-back home runs withFrank Catalanotto to lead off the game... It marked just the2nd time in Club history the Blue Jays had hit consecutivehomers to start a game, joining the pair hit by Devon White &Roberto Alomar...His .330 average at the break ranks asthe 7th highest in Club history... On July 28 at OAK, struckout five times... It's the first time a Blue Jay has struck outfive times in a game, and marks the most ever for a nine inninggame...The club record is held by Alex Gonzalez withsix, coming in a 13-inning game vs. CLE, Sept. 9, 1998...Setnew career highs in hits (136), doubles (33), home runs(17), RBI (82), and walks (35)...Was named to his 1stAll-Star Game (Pittsburgh)...Could not participate due to astaph infection...Was placed on the disabled list from June28-July 27 with the staph infection in his left leg...Included arehabilitation assignment at Syracuse from July 24-26. Completed his first full season in the Major Leagues,appearing in 146 games...Led all Blue Jays with 14 stolenbases...Became the 10th different Blue Jay to hit two triplesin the same game and the first since Orlando Hudson inJune 2003...Hit his first homer of the season and second ofhis career on May 13 at CLE...Ended a span of 330 at batswithout a home run...June 21 vs. BAL, hit his first careerleadoff home run off Rodrigo Lopez, the only leadoff homerof the season by the Blue Jays...Aug. 8 vs. DET, establisheda new career high with five hits... Had a home run,two RBI and scored two runs in that game. Was recalled by the Blue Jays on May 26 from Syracuseof the International League (AAA)...Made his MajorLeague debut on May 27 vs. ANA and collected his first careerhit with a seventh inning single off Jarrod Washburn...The following night, May 28 vs. TEX, collected his first RBIwith a first inning single off R.A. Dickey, scoring JoshPhelps...Drove in three runs on Aug. 1 at TB, a game that includedhis first career home run, a solo shot off DewonBrazelton in the sixth inning...Led all rookies and rankedfourth overall in the American League with 11 outfield assists...Also ranked first among AL rookies in multi-hitgames (34), triples (7) and stolen bases (15)... Ranked secondamong AL rookies in hits (122), total bases (163), doubles(24) and extra base hits (32)... Also ranked among theAL rookie leaders in batting average (3rd at .286), RBI (7thwith 28), runs (3rd with 55), walks (4th with 31), on base percentage(4th at .338) and slugging percentage (6th at.383)... Furthermore, led the Blue Jays in the 2004 seasonwith seven triples (sharing the team lead with Orlando Hudson),11 outfield assists and 15 stolen bases... His seven tripleswere the most by a Blue Jays rookie since ShannonStewart hit seven in 1997... The Club record of 10 was setby Alfredo Griffin in 1979. Named as the Eastern League's Most ValuablePlayer... Led the Eastern League with a .352 batting average,181 hits and a club record 11 triples...Named to NorthernDivision roster for the 2003 Eastern League All-StarGame... Chosen to participate in the 2003 Radio ShackAll-Star Futures Game during All-Star Week in Chicago...Hit a solo home run for the World Team in a losing cause...Named as the Eastern League Player of the Month for Augustafter batting .410 in 30 games and setting monthlyhighs with 48 hits, five home runs, 28 RBI and 25 runsscored... Also honoured during the month of August as theEastern League Player of the Week, for the period endingAugust 10... In the postseason set team highs with threehome runs and six RBI in New Haven's eight playoffgames...Was named by Baseball America as the "Best BattingProspect" and "Most Exciting Player" in their year-endreview of play in the Eastern League... Was also included inthe magazine's year-end "Hot Sheet" of the top prospects inbaseball, ranked 12th overall... Ranked second in the magazine'syear-end list of the top 20 prospects in the EasternLeague...And ranked as the top prospect in the Blue Jaysorganization...Played with Caguas in the Puerto RicanWinter League and was named as the Winter League MVP. Was rated by Baseball America as the sixth bestprospect in the Blue Jays organization... Spent the entireseason with Dunedin (A) of the Florida State League wherehe was fifth in the league batting .305 with 33 extra-base hitsand 61 RBI... Led the team with 139 hits and was fifth in theleague with eight triples, also a team high... May 13 drove ina season high with four RBI after hitting a pinch-hit grandslam home run... Was on the disabled list from May 23-June13 with a fractured finger on his right hand...Was selectedto play in the midseason FSL All-Star game and thepostseason All-Star team. Compiled season-best 13-game hitting streak forCharleston-WV (A) of the South Atlantic League June21-July 4, raising average from .233 to .268... Batted .301(28-for-93) in month of July and was named as the AlleyCats' Player of the Month... Finished the season leading theteam in hits (126), total bases (170) and RBI (58)...Led theSAL with 14 sac-flies. Began the season with Hagerstown (A) of the SouthAtlantic League but was sent down to Queens (A) of the NYPenn League after 22 games...Finished second in the NYPenn League with one strikeout every 10.18 plate appearances. Led Medicine Hat (A) in triples (3)...Named the 9thbest prospect in Pioneer League by Baseball America...Played briefly for Caguas, Puerto Rican League (threeat bats). 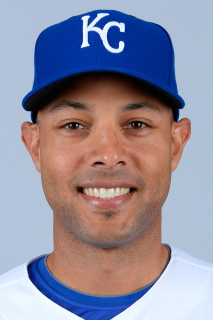 November 4, 2015 RF Alex Rios elected free agency. May 30, 2015 Kansas City Royals activated RF Alex Rios from the 15-day disabled list. May 25, 2015 Kansas City Royals sent RF Alex Rios on a rehab assignment to Omaha Storm Chasers. December 19, 2014 Kansas City Royals signed free agent RF Alex Rios. October 31, 2013 OF Alex Rios assigned to Criollos de Caguas. October 30, 2013 RF Alex Rios elected free agency. August 10, 2013 Texas Rangers activated RF Alex Rios. October 18, 2011 CF Alex Rios assigned to Naranjeros de Hermosillo. November 11, 2009 OF Alex Rios assigned to Criollos de Caguas. August 10, 2009 Chicago White Sox claimed Alex Rios off waivers from Toronto Blue Jays.